Francis Bernard (1712-1779) was an English colonial official and the royal governor of Massachusetts between 1760 and 1769. Born in Berkshire and orphaned at a young age, Bernard was raised by an aunt. He later studied at Westminster and Oxford before practising law. Through family connections, Bernard was able to obtain an appointment as governor of New Jersey (1758), despite having no prior experience as a diplomat. His governorship of New Jersey was reasonably successful, securing its borders with other colonies and resolving some land disputes with Native American tribes. 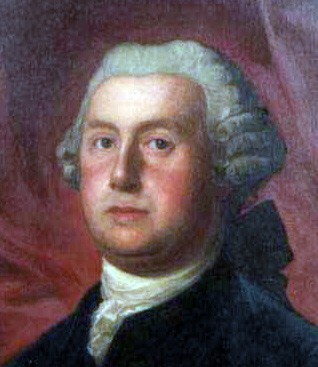 In late 1759 Bernard, again exploiting his connections, was appointed as governor of the larger and wealthier colony of Massachusetts. Bernard took up his new governorship in August 1760. His relationship with the colonial legislature of Massachusetts was strained, not least because of his commitment to British imperial policy and his determination to enforce the Navigation Acts by issuing writs of assistance. As the unpopularity of British trade and revenue policies grew, so too did Bernard’s own unpopularity. He was not well regarded by Massachusetts’ colonial legislators, who considered him stubborn, difficult to work with and more interested in his own business ventures than the business of the colony. In July 1768 Bernard further antagonised them by dissolving the Massachusetts assembly for refusing to withdraw Samuel Adams’ circular letter. He also requested a garrison of British regular troops to assist with maintaining order in Boston. The following year Bernard was recalled to England after leaked letters revealed he had been lobbying for an amendment to Massachusetts’ charter to reduce the power of its legislature. 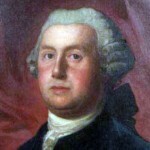 He was replaced as governor by the even more unpopular Thomas Hutchinson. Bernard later served as an advisor to the British government on colonial affairs, further outraging the American revolutionaries.